Lightweight and super soft with high stitch density for smoother printing surface. 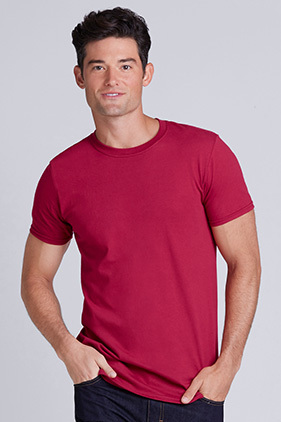 100% ring-spun cotton, 4.5 ounce preshrunk jersey knit t-shirt. High stitch density for smoother printing surface. Seamless double-needle 3/4" collar. Taped neck and shoulders. Tear away label. Rolled forward shoulder. Double-needle sleeve and bottom hems. Quarter-turned to eliminate center crease. Fiber content varies by color.